Functional versatility that can't be found in any other storage container. Half drop gate makes it easy to load or unload parts, supplies, etc. It's the perfect container for in-line assembly work, or work-in-process parts transfer. 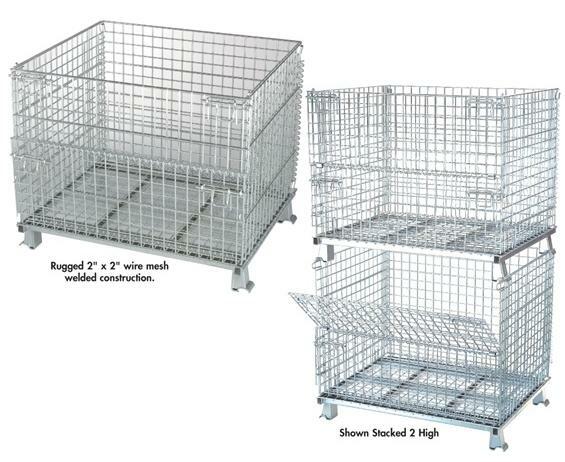 Wire mesh welded construction does not restrict air flow...contents won't collect moisture. Wire design also makes it easy to identify contents. Dust doesn't collect and during fires, water easily filters through to lower units...reduces fire hazards and insurance. 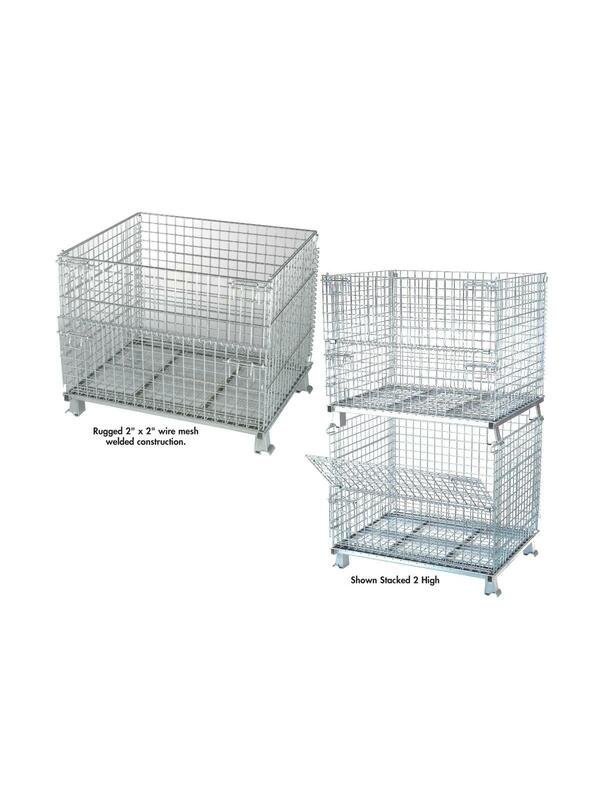 Sturdy steel understructure ensures dependable support. And, when there's no need for the container, they fold flat for space- saving storage. Durable Zinc Plated finish. 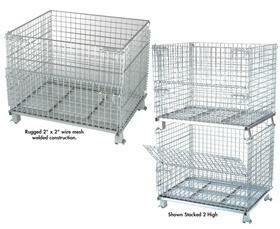 Optional casters, lids and dividers also available -- call for details. FOB Shipping Point.